Teacher turnover is a serious challenge across early childhood settings, yet little research has focused on the pre-K and K-3 workforce. Early Childhood Teacher Turnover in Nebraska describes teacher turnover in the state’s licensed child care, state-funded pre-K and kindergarten through Grade 3 settings based on survey responses from administrators for the 2015-6 academic year. Among Nebraska early childhood programs, the average turnover rate was 26% in child care settings—36% for assistant teachers and 17% for lead teachers, 15% in pre-K settings and 16% in K-3 settings, according to the report. The most common reason child care teachers left was to earn higher salaries—current annual salary of $19,000 falls below federal poverty level for family of three. More than 20% of pre-K administrators also ranked low pay as the top reason for turnover; with just 9% of K-3 administrators identifying higher salaries as the reason teachers typically left jobs. For both pre-K and K-3, the most common reason was moving to a new community. NIEER’s State(s) of Head Start report included national average and state turnover rates in Early Head Start and Head Start programs. For example, we found a 16% national average turnover in for Early Head Start teachers annually, with 4% leaving for better compensation. Early Head Start teacher salary was more than $27,000 below that for public elementary teachers–and 12% of vacancies were open at least three months. Among Head Start teachers, NIEER found a 16% turnover in the previous year, with 5% percent leaving for better compensation—HS teacher salary fell $23,705 below public elementary teachers—and 11% of vacancies stayed open at least three months. Teachers are a strong direct determinant of preschool program quality, and pre-K program polices influence who becomes and stays a teacher as well as the competencies they acquire, according to NIEER’s Lead Teacher Workforce: Qualifications, Pay and Parity policy brief. Low wages and limited opportunity for professional development and support often leads to high rates of teacher turnover. Research has associated high teacher turnover with negative effects on children’s social, emotional, and language development; likewise, poor pay and higher levels of teacher stress are associated with lower observed classroom quality in early childhood programs (Center for American Progress). High-quality pre-K can provide benefits that go beyond the early years and lay a stronger foundation for later social and economic success and even improved physical health. Many large U.S. cities have a Pre-K program in place, but there is still work to do. Most importantly, to provide children and families the full benefits of pre-K, city leaders need to design and implement high-quality programs, based on research, that children and families can readily access. NIEER this week partnered with CityHealth to release a new report that finds a growing number of cities are creating new, local funding streams to establish and sustain pre-K programs, but many programs fail to meet minimum quality benchmarks that extensive research has shown deliver lasting benefits, while other cities do provide high-quality programs but reach too few children. Defining and monitoring early care and education (ECE) program engagement in Quality Rating and Improvement Systems (QRIS) are essential tasks that can inform implementation and improvement efforts. The purpose of this federal Office of Planning, Research and Evaluation brief is to describe approaches to measuring QRIS program engagement that can be used by QRIS administrators and other stakeholders to distinguish and address different levels of QRIS involvement among ECE programs. The metrics described in this brief can support consistency of reporting within and across QRIS. The brief also discusses challenges and potential solutions to calculating QRIS metrics. Research indicates that using data to inform decision-making is associated with greater academic success. Assessing students at kindergarten entry allows teachers to effectively plan instruction that meets individual student needs, and those of the class as a whole. Maryland uses Ready for Kindergarten (R4K): Maryland’s Comprehensive Early Childhood Assessment System, a single coordinated system for measuring the knowledge, skills, and behaviors and identifying the needs of young children. 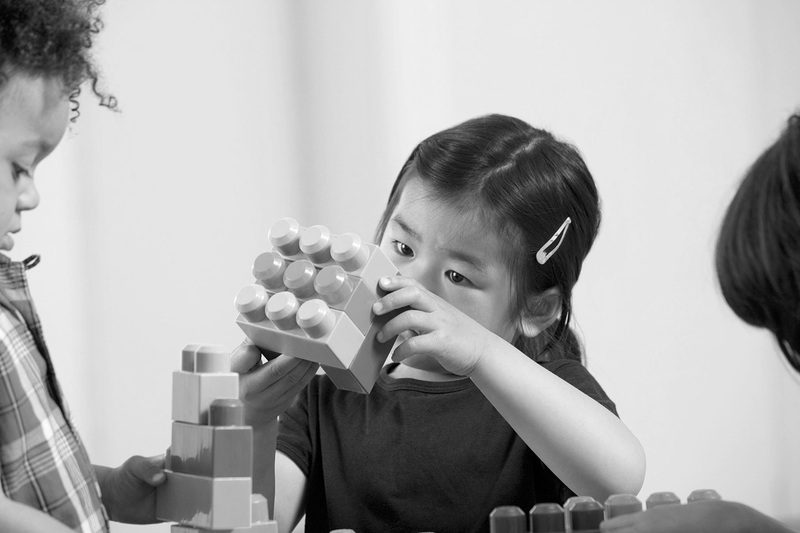 A significant number of Maryland’s children (20%) display minimal foundational skills and behaviors and require substantial assistance and differentiated instruction, as well as targeted supports or interventions to be successful in kindergarten. 11 of Maryland’s 24 jurisdictions exceed or meet the statewide average. 6 of the 13 jurisdictions with lower than average readiness levels have a higher percentage of kindergarteners living in poverty. In a new paper released in the Journal of Abnormal Child Psychology, researchers examined preschoolers’ real-time task persistence profiles during problem-solving tasks with mothers and fathers as antecedents of teacher-rated attention problems in kindergarten. Child temperament, parenting, and preschool attention problems were controlled for in this study. Researchers suggest mothers and fathers play different roles in the regulatory development of young children. They further suggest that person-centered profiles of self-regulation in context may help inform prevention of children’s regulatory problems. A study recently published in the International Journal of Behavioral Nutrition and Physical Activity notes that few interventions have shown efficacy to influence key energy balance behaviors during the preschool years. These researchers conducted a randomized trial to evaluate the efficacy of a 12-week parenting intervention for mothers with low-income levels, to reduce preschool-aged children’s intake of calories from solid fat and added sugar (SoFAS). Findings demonstrate the initial efficacy of the intervention to reduce SoFAS intake in early childhood. Study authors recommend additional research is needed to evaluate longer-term effects on diet and growth. A new paper in Early Childhood Research Quarterly examines how children’s reading interest (as reported by their parents) and parents’ literacy practices remain stable or change from the beginning of prekindergarten to the end of kindergarten. The study included 721 participants drawn from low-SES Chilean families participating in a larger study. Researchers found that in these low-income Chilean families, it is more likely for a child’s reading interest to predict parents’ practices than the other way around. Researchers suggest that interventions could be designed to improve parents’ perceptions of children’s reading interest rather than seeking only to change parents’ practices directly. A new article in the American Journal of Community Psychology examines if certain combinations of individual and environmental experiences of teachers in lower‐middle‐income countries (LMICs) may result in stress. Participants included kindergarten teachers in Kosovo and Ukraine, two LMICs in Europe. Researchers identified three subgroups of teachers that significantly differed on teachers’ education and experience. Researchers found that teachers in the profile that was characterized by the longest experience working in the field but the lowest level of education showed a pattern that could indicate maladaptive stress (cortisol) response. Researchers suggest future directions for studying stress processes among teachers in LMICs and the implications for policy and practice on how to support teacher well‐being in low‐resource contexts. The Institute develops policy proposals informed by research, best practices and the experiences of other states and conducts educational and outreach activities around these recommended policy solutions. LPI is seeking its next Executive Director to lead the Institute into the future and help propel the mission of the organization forward as a statewide leader and partner in early childhood education. The ninth annual SXSW EDU will return to Austin for four days of compelling sessions, in-depth workshops, engaging learning experiences, mentorship, film screenings, startup events, policy discussions, competitions, exhibition, networking, and so much more. The SXSW EDU Conference & Festival features content for education professionals, industry leaders and policy makers looking to connect, collaborate, create and change how we teach and learn. Register by Friday, February 15, to save $50 off the walk-up rate.